The “Hourglass – Success Stories” series of events is open to public and intended for professionals seeking inspiration and guidance from the successful entrepreneurs in the Ukrainian Community in the United States and around the world. – Mr. Yaroslaw Azhnyuk, born in Kyiv, Founder and CEO of Petcube, a Silicon Valley Ukrainian technology phenomenon. It’s moderated by Ivana Lotoshynski, CFP®, President of People Wealth Matters LLC and the Chair of the UABPA Board. 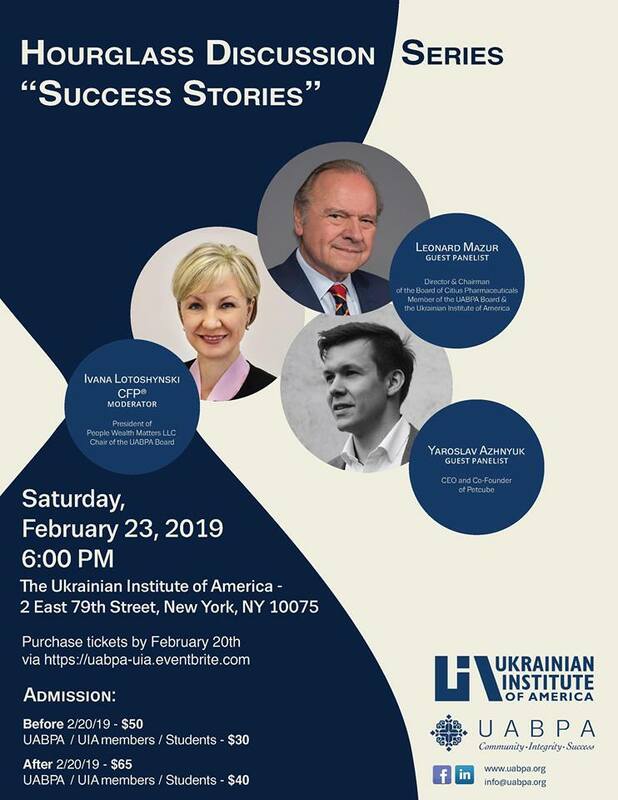 This event will be held in a form of a panel discussion at the Ukrainian Institute of America – a Historic NYC Landmark and an in itself an example of an inspiring vision of its founder William Dzus.